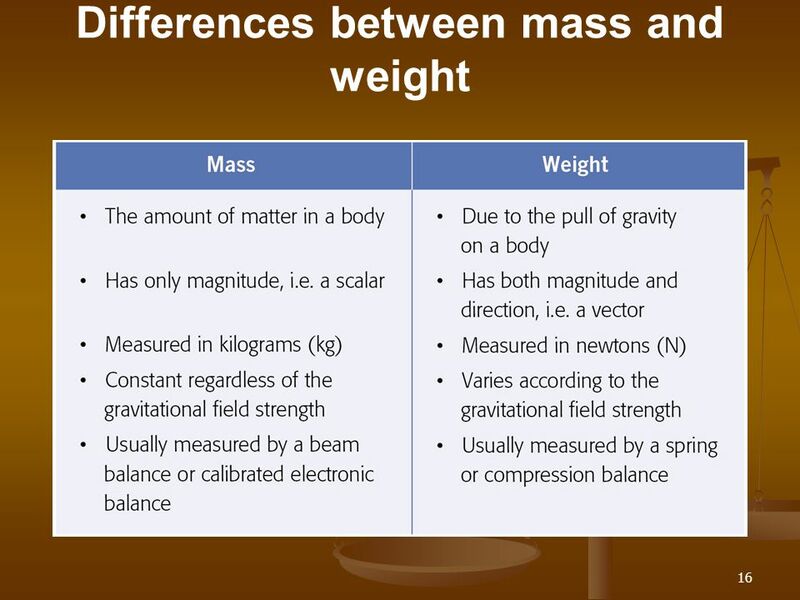 Weight and mass are two important concepts of physics; important and related, but distinct. In everyday life, the terms mass and weight are often confused. The mass of a body gives an indication of the amount of matter that constitutes it. Thus, the mass of an object is a magnitude without direction and constant - as long as the object does not undergo alteration - which is related to the number and the nature of the atoms that compose it. of the mass of the bodies in question. So the weight of an object is higher on Earth than on the Moon. It should not be concluded that a scale measures your mass and not your weight. Indeed, if you jump on the scale, the indication goes, for a moment, greatly increase. This is a sign that the device is very sensitive to a force, so to your weight. It was not until the late 1940s that Newton was adopted as a unit of strength. Previously, we used the kilogram-force, hence the confusion on the scale. where g represents the intensity of gravity whose value depends on where one is.